Ostrozky [Острозький; Ostroz’kyj] (Polish: Ostrogski). A prominent family of Ukrainian Orthodox princes under Lithuanian and Polish rule. Most scholars believe it is descended from the Turiv-Pynsk line of the Riurykide dynasty (see Turiv-Pynsk principality). The progenitor was Prince Danylo Dmytrovych (d after 1366), who fought against Casimir III the Great and built a castle in his town of Ostrih (whence the family name). His son, Fedir (1360–1446), was a supporter of King Jagiełło, who appointed him viceroy of Lutsk in 1387. In addition to Ostrih Fedir became owner of Korets, Iziaslav (Zaslav), and other towns. In the 1430s he supported Grand Duke Švitrigaila and fought the Poles in Right-Bank Ukraine. He died as a monk at the Kyivan Cave Monastery under the name Teodosii and was later canonized (his feast day is 24 August [11 August OS]). Fedir's son, Vasyl (d ca 1450), was loyal to Casimir IV Jagiellończyk, who appointed him viceroy of Turiv in 1448. He built churches in Ostrih and the Derman Monastery. After Vasyl's death his son Yurii (d ca 1500) inherited Iziaslav (Zaslav) and originated the Zasławski noble family. Vasyl's son Ivan (d 1465) inherited Ostrih. 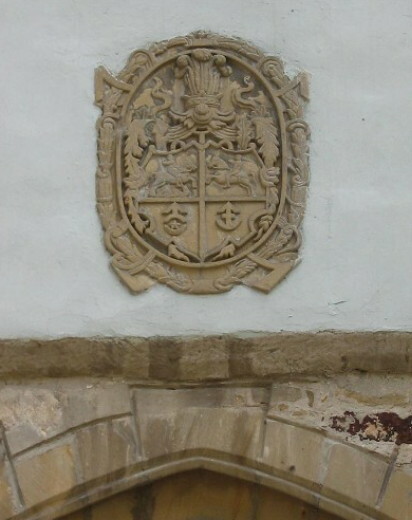 Ivan's son, Kostiantyn Ostrozky (ca 1460 to 1530), was grand hetman of Lithuania and one of the five wealthiest magnates in the Lithuanian-Ruthenian state. He was a prominent defender and patron of the Orthodox church. 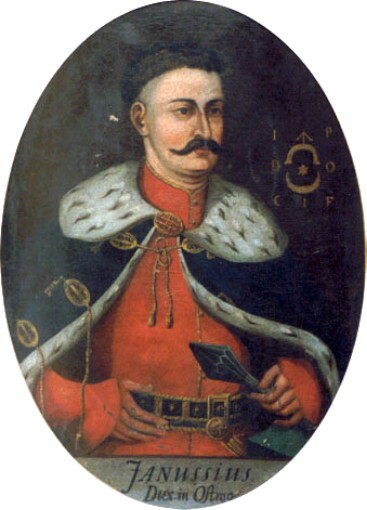 Kostiantyn's son Illia (1510–39) was starosta of Bratslav and Vinnytsia from 1530. He was also a patron of the Orthodox church and was buried at the Kyivan Cave Monastery. 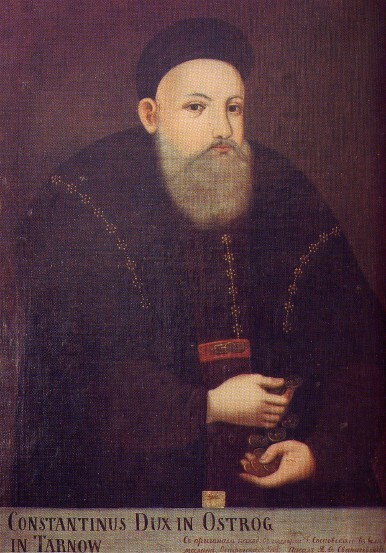 Illia's brother Kostiantyn Vasyl Ostrozky (ca 1526 to 1608) was the most notable member of the family. 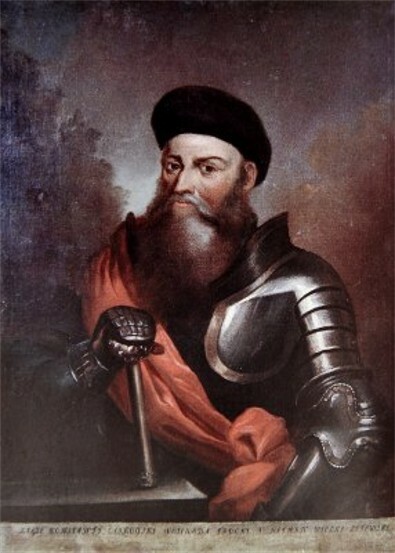 Kostiantyn's son Oleksander (1570–1603) was voivode of Volhynia from 1597 and, like his father, a defender of Orthodoxy. Another son, Yanush (Janusz, ca 1554 to 1620), converted to Catholicism in 1579. He became voivode of Volhynia in 1584 and castellan of Cracow in 1593, and was also starosta of Kaniv, Pereiaslav, Cherkasy, Bohuslav, and Bila Tserkva. With his death the family name disappeared, and the huge Ostrozky latifundia—24 towns, 10 smaller towns, and several hundred villages, mostly in Right-Bank Ukraine—were inherited by the sons of his sister, Eufrozyna Zasławska, and subsequently by members of the Sanguszko and other magnate families.